below. And if you haven't already, try Google Analytics for mobile apps for powerful insights into how users engage with your app. Google is currently testing app indexing with an initial group of developers including AllTheCooks, AllTrails, Beautylish, Etsy,Expedia, Flixster, Healthtap, IMDb, moviefone, newegg, OpenTable, Trulia, and Wikipedia. Deep links for these applications will start to appear in Google search results on Android, in the US, in a few weeks. Here's some great news from Google’s search team: In-app content is now becoming visible in Google search. 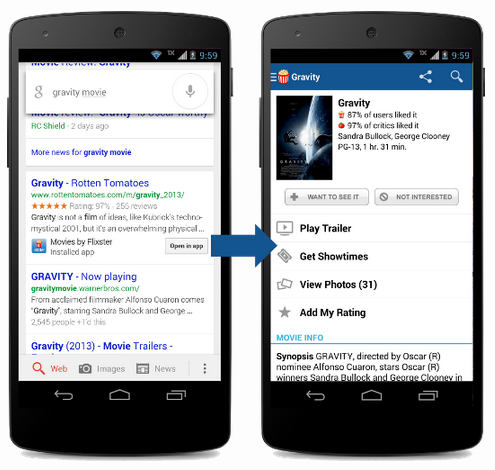 Starting today, users on Android devices can jump straight from Google search results to pages inside an app. For Google Analytics for mobile apps users, this opens up a new world of insights into areas like revenues, engagement and overall app usage. We've reposted the original blog post below. And if you haven't already, try Google Analytics for mobile apps for powerful insights into how users engage with your app. of 4PS Marketing details how to easily monitor Twitter and see number of tweets, active users, and hashtags for a topic using Universal Analytics. We’ve excerpted parts of his post below, read on to see the results, and don’t forget to click through to see the technical details! First, we need to create a new account, which is accomplished easily through the new look and feel of Analytics. Remember this is under Admin and then in the Account drop down. I made a new Universal Analytics account for my particular experiment - you then need to note the UA number. I downloaded a WAMP stack called XAMPP as I wanted to use PHP as my Twitter monitoring library. XAMPP includes Apache, PHP and MySQL. You can use any tool of your choose provided you are able to edit the code and add the necessary Measurement Protocol requests. The library I used is was from 140Dev. 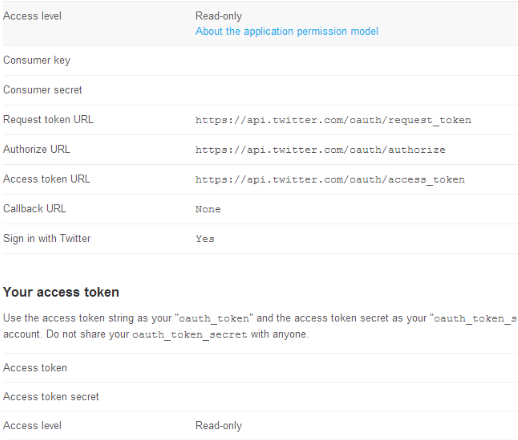 Create your application and after you've done this you will need to note the Consumer Key, Consumer Secret, Access Token, Access Token Secret. So, now we've got our Twitter application we can begin monitoring, in the 140dev package you need to modify a few files, firstly the db_config.php. You can find the code here, on the original blog post. The reporting interface of Google Analytics is actually very effective at monitoring Twitter as you are able to look in Real Time, use Dashboards, or custom reports. In between rolling out new features for Google Analytics, we also like to feature how users and companies are actually using our products. Matt Stannard of 4PS Marketing details how to easily monitor Twitter and see number of tweets, active users, and hashtags for a topic using Universal Analytics. We’ve excerpted parts of his post below, read on to see the results, and don’t forget to click through to see the technical details! is a free, simple way for website publishers to earn money by displaying targeted Google ads on their websites. 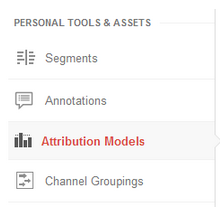 Today, we’ve added the ability to access AdSense data from the Google Analytics Core Reporting API. The AdSense and Analytics integration allows publishers to gain richer data and insights, leading to better optimized ad space and a higher return on investment. LunaMetrics, a Google Analytics Certified Partner & Digital Marketing Consultancy. A core issue with measuring social media is that due to the way that traffic migrates around the web, there are lots of situations where we lose referrer information and those visits end up being labeled as 'Direct' inside of our analytics. If a visitor has come to your site previously, Google Analytics will simply apply the same referral information it had for their previous visit, which it retrieves from the UTMZ cookie it previously saved on the visitor's browser. But, if there are no cookies, Analytics has no information, and buckets the visitor into Direct. Obviously, this is problematic; 'Direct' is supposed to represent visitors who bookmark or directly type in our URL. These users are accessing our site through a shared link, and should be counted as referrals. Thankfully, we have some tools at our disposal to combat some of these scenarios, most notably campaign parameters. But campaign parameters only help with links that you share; what about when a visitor comes to your site and shares the link themselves? These visits can cause serious problems when it comes time to analyze your data. For example, we offer Google Analytics & AdWords training. Most of our attendees are sponsored by their employers. This means they visit our site, scope out our training, and then email a link to a procurement officer, who clicks through and makes the purchase. Since the procurement officer comes through on the emailed link and has never visited our site, the conversion gets bucketed into 'Direct / None' and we lose all of the visit data for the employee who was interested in the first place. This can compound into a sort of feedback loop - the only data we see would be for individuals who buy their own tickets, meaning we might optimize our marketing for smaller businesses that send us less attendees. In other words, we'd be interpreting data from the wrong customers. Imagine how this kind of feedback loop might impact a B2B trying to generate enterprise-level leads - since they'd only see information on the small fry, they could wind up driving more of the wrong kind of lead to their sales team, and less of the right kind. For a long time, this has been sort of the status quo. Now, with new features available in Universal Analytics, we have some tools we can employ to combat this problem. In this post, I want to share with you a solution that I've developed to reduce the amount of Direct traffic. We're calling it DirectMonster, and we're really excited to make it open source and available to the Google Analytics community. When the visitor copies and shares the URL from the toolbar, they copy that stored referral information along with it. When someone without referral information lands on the site through a link with those encoded parameters, the script decodes that information as campaign parameters to pass along to Google Analytics, waits until Analytics writes a fresh UTMZ cookie, and then ciphers, encodes, and re-appends the visitors current referral information. It also appends '-slb' to the utm_content parameter. 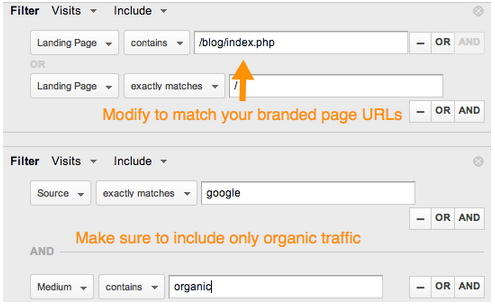 That way, those visits can be segmented from 'canonical' referrals for later analysis, if necessary. The visitor who would have had no referral information now is credited as being referred from the same source as the visitor who shared the link with them. 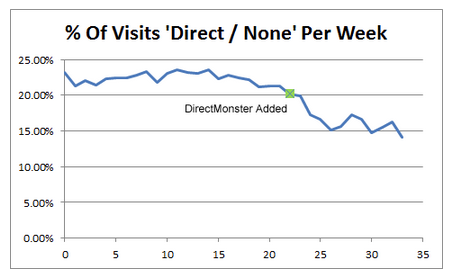 This means that visits that normally would have been erroneously segmented as 'Direct / None' will now more accurately reflect the channel that deserves credit for the visit. At first, this might seem wrong - shouldn't we just let Analytics do its job and not interfere? But, the fact is that those visits aren't really Direct, at least not in its truest interpretation, and having 'assisted referrer' channel information gives you actionable insight. Plus, by weeding out those non-Direct scenarios, your Direct / None numbers will start to more accurately represent visitors who come to your site directly, which can be very important for other measurement and attribution. It's actually better all the way around. After all, if a Facebook share is what ultimately drove that visitor to your site, isn't having that information more valuable than having nothing at all? This way, you'll have last-click attribution for conversions that otherwise would have simply been bucketed as Direct. 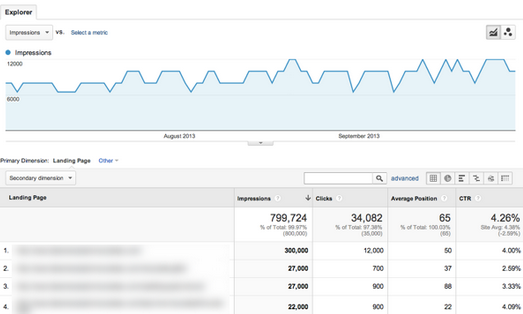 Of course, you won't have the visit history of the assisting referrer, but... well, more on that soon. We've gone from having about 20-25% of our traffic come in 'Direct / None' to just under 15%, and I anticipate that number will continue to fall. 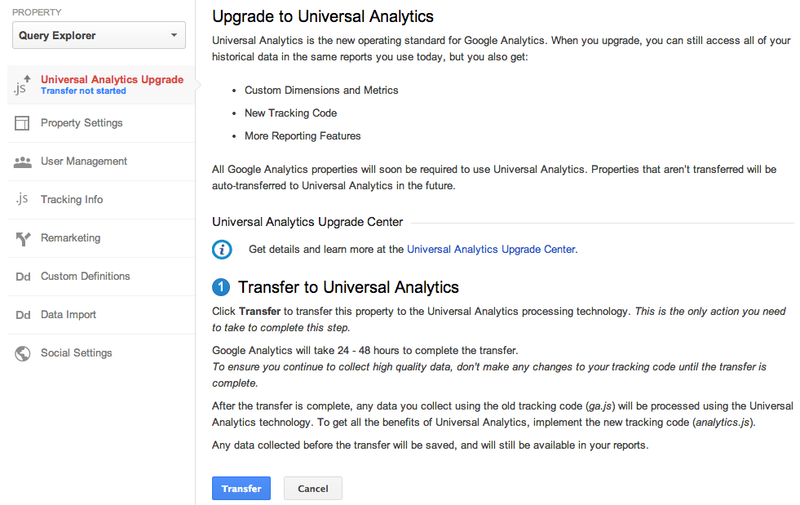 One of the coolest features that Universal Analytics has given us is Custom Dimensions. If you're not familiar with them, take a minute and read the Google Developer Resources page about what they are and how they work. Although initially designed for the asynchronous code, Universal Analytics has allowed us to put DirectMonster on steriods. In our Universal implementation, we store the visitors CID as a visit-level custom dimension, and we add their CID to the hashed parameters we're already storing in the anchor of their URL. When a visitor comes through on a link with a CID that differs from their own, we capture the stored CID as the Assisted Referrer. Then, we can open up our Custom Reports later on and view what visitors were referred to our site by whom, and what they did when they got there. What does this mean? If a celebrity tweets a link to your product, you can discover exactly how many visitors they referred, and how much revenue those visitors generated. By cross-referencing the Assisted CID for single-visit 'Direct / None' purchases, you can discover the true visit history of a conversion. Since it takes advantage of advanced Universal Analytics functionality, DirectMonster 2.0 requires some advanced implementation as well. Unlike its cousin, you'll need to adjust your Analytics tracking code to include a few functions, and you'll need to configure the Custom Dimensions you'll be storing a visitors CID and assisted referrers CID inside of. For a full reference on how to get either version of DirectMonster and configure it for your site, check out our blog post covering the topic in detail here or visit our GitHub page and get DirectMonster for yourself. 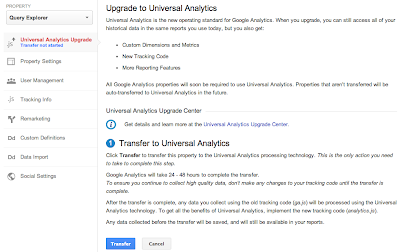 I hope that you're as excited as I am about this development and all of the things Universal Analytics is enabling us to do. Think of a use case I didn't mention? Share it with me in the comments! The following is a guest post contributed by Dan Wilkerson, marketing manager at LunaMetrics, a Google Analytics Certified Partner & Digital Marketing Consultancy. All Core API and MCF Reporting API queries previously required a start and end date. 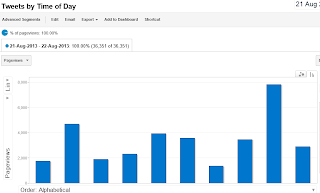 In the past, apps that displayed recent data - like the last 14 days - would have to manually determine today’s date, determine when 14 days ago was, and format the dates so they could be used. Using these values will automatically determine the date range based on today’s date, allowing apps to always display the data for last 14 days (or whatever time period you’d like!). In certain cases, data may be sampled. To simplify setting and reporting the impact of sampling, we’ve added a couple new sampling related features. First, we added a new query parameter to set the level of sampling. Developers can now specify whether reports should be faster or be more precise. sampleSize - The number of samples that were used for the sampled query. sampleSpace - The total sampling space size. This indicates the total available sample space size from which the samples were selected. 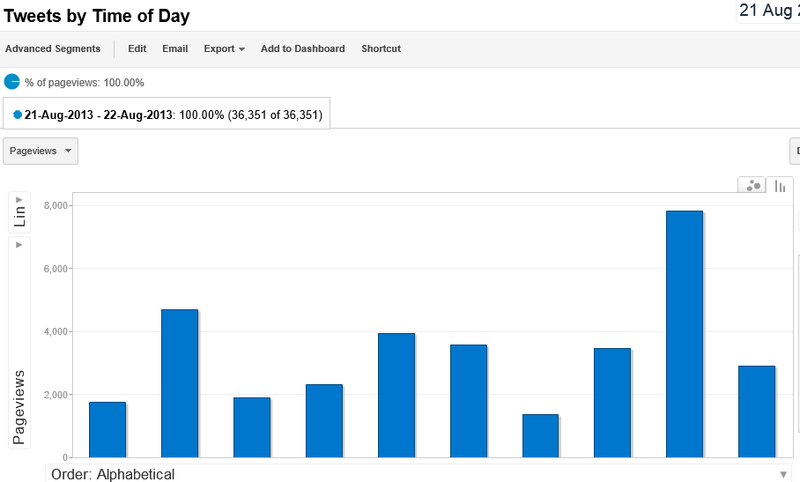 With these 2 values you can calculate the percentage of visits that were used for the query. 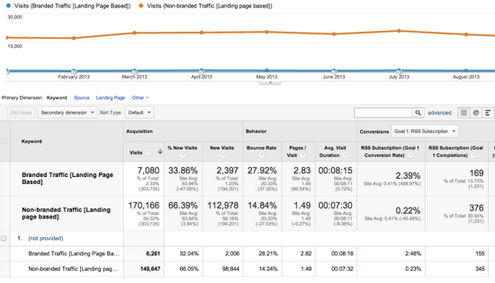 For example, if the sampleSize = 201,000 and sampleSpace = 220,000 then the report is based on 91.36% of visits. Together, these values allow developers to see exactly how much data was used to calculate the sample. Our goal is for Google Analytics APIs to be as simple to use as possible - so we just released 2 new features that make it even easier to use our APIs. As sites become more dynamic and want to understand users’ site experiences in more detail, business owners need to know more: how long are visitors staying on a particular page? How are they interacting with interactive elements like image carousels? How many are clicking the Contact Me button? How many are clicking outbound links? 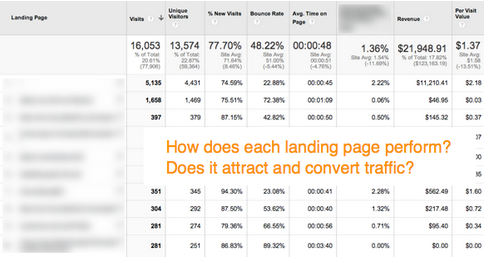 Increasingly, site analytics are incomplete without answers to questions like these. Once you have your event listener set up, you can have tags fire based on form submits using a rule that looks for the event gtm.formSubmit. 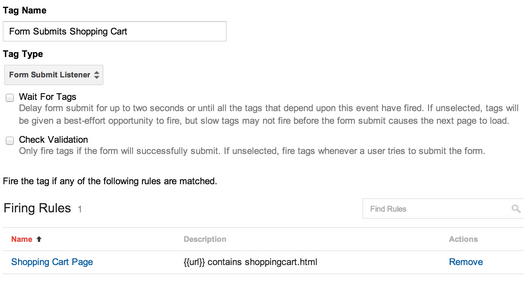 (Of course, Tag Manager supports more than form submits: it also includes clicks and timer events.) You can also make sure you’re getting the right form by using our Auto-Event Variable macros that let you narrow things down with attributes like the element ID and the form target. The end result: you can deploy event tracking to your site and send event tracking data to Google Analytics without adding any code to your site. 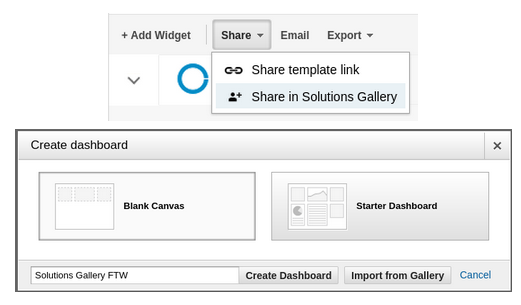 You can deploy measurement campaigns faster, and not writing custom code makes your solutions more robust. We’re looking forward to getting your feedback - let us know what you think! We know how important these reports are to you, and so we’re pleased to announce the launch of the new Acquisition reports which provide a window on your users’ Acquisition-Behavior-Conversion (ABC) cycle: how you acquire users, their behavior on your site after acquisition, and their conversion patterns. We conducted robust testing with users and saw that this setup was better for several reasons, including providing a better flow for analysis, more customization and well organized metrics. 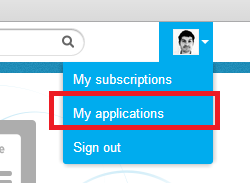 The new Acquisitions will replace the ‘Traffic’ Sources’ section on the left hand navigation. Channels allow you to view your traffic acquisition at a higher level of granularity, allowing you to group similar sources using rules into logical buckets we call channels. By default all users will be pre-setup with eight channels; you can choose to customize and add more at anytime. Channels are now a first class entity in all of analytics and will be made available in custom reports and the API soon. They are also shared across users of the same profile. The updated reports will be gradually rolling out to all users starting today. We look forward to providing a cleaner, more intuitive experience for you and better analysis of Acquisitions. "The new Acquisition, Behavior, Conversion approach sharpens the focus for digital analysts on what matters most: how potential customers are acquired, how they behave, what their experience consists of, and last but not least, the outcomes from those behaviors - conversions. We will benefit from the streamlined architecture and the enhanced focus on data that matters afforded by this addition to Google Analytics." Traffic sources in Google Analytics contains some of the most popular reports in our product and are accessed daily by millions of users. That’s why we’ve been thinking about how to evolve these reports to better present your key metrics and give you a broader view of your business. 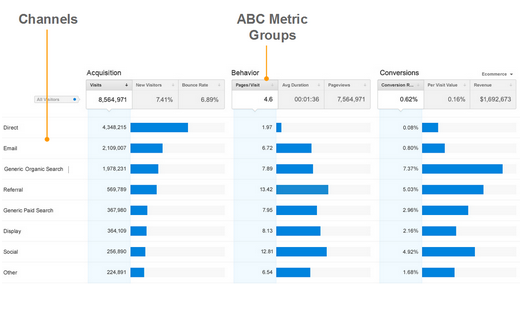 re-imagined in-app analytics from the ground up, speaking the language that matters to app developers and marketers. Since launch, the insights provided by Google Analytics for Mobile Apps are already helping hundreds of thousands of app developers and marketers create more successful Android and iOS apps and experiences by measuring metrics at all stages: acquisition, behavior and conversions. As a follow-up from this week’s Summit, today we’re excited to announce that the integration between Google Analytics and Google Play, previewed at I/O 2013, is now available to all users! This is especially exciting for app developers and marketers because it’s the first time - and only way - to get a holistic view of the Play acquisition funnel in one easy to understand report. As these reports are using flow visualization, you can also select any path you wish to analyze further which will highlight that path and present useful data points along the funnel such as drop off rate. 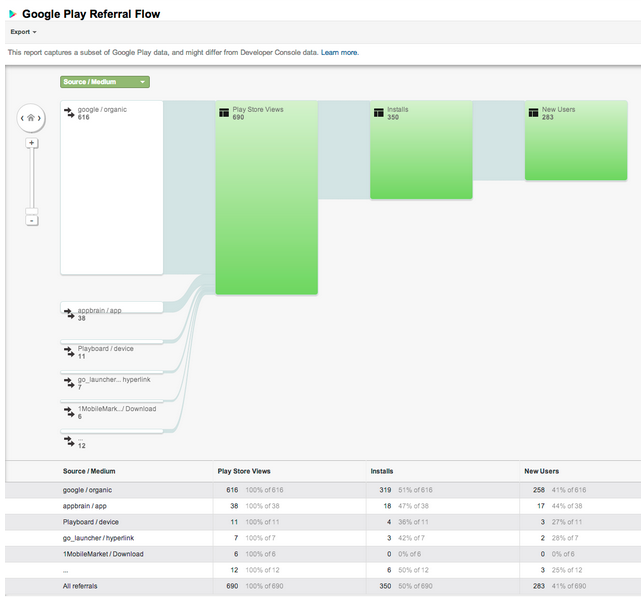 To start using the Google Play Referral Flow Report, you need to simply link your Google Analytics Property to your Android app in Google Play. Linking to your app takes only seconds. The collaboration between Google Analytics and Google Play doesn’t end there! By linking your Analytics property to your Android app, key Google Analytics engagement metrics from your default profile will now appear inside the Google Play Developer Console. This two-way integration gives you instant access to the in-store and in-app metrics of record in whichever Google product you use. Read more on the Android Developers Blog. These powerful new features from Google Analytics and Google Play take mobile app analytics to the next level. We recently re-imagined in-app analytics from the ground up, speaking the language that matters to app developers and marketers. Since launch, the insights provided by Google Analytics for Mobile Apps are already helping hundreds of thousands of app developers and marketers create more successful Android and iOS apps and experiences by measuring metrics at all stages: acquisition, behavior and conversions.